Spaciously Heavy New Album From Portland’s Natasha Kmeto! 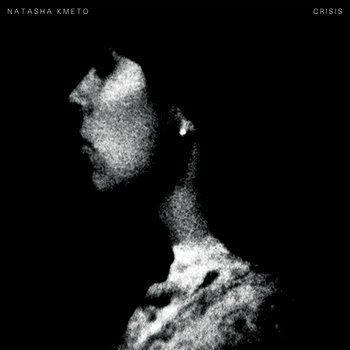 On a random whim today I heard about a brand new album release from an artist I’ve heard a bit from, seen a few times, and met once or twice: Natasha Kmeto. I first heard about Natasha through a series of events from Live’n’Love Productions up in Seattle, run by an old homie, Kyle. Somehow Kyle had stumbled across her (as she’s from Portland, OR), and started booking her at random L’n’L events. Believe I eventually saw her at one of the Photosynthesis Festivals of years past, and I remember being fairly stoked at how avant-garde the approach was to her own music. I’ve since moved to the middle of no where California, and only heard a tiny snippets about her, here and there, until today. It’s not often I toss down $10 for a 30-minute album without having heard most of it, but knowing she’s in the extended Fam, I went for it – and I’m quite happy I did. The album starts out with the title track ‘Crisis‘, potentially my favorite off the album after a few listens. Synth heavy and semi-retro sounding, her gut-wrenching vocal pulses wash over you as a very minimal trap beat exercises itself beneath all the other layers. If all trap sounded like this, I’d listen to a lot more of it. The album progresses into ‘Idiot Proof‘ which brings to the table a more vocal oriented track, letting everyone know that she ‘needs peace from all the things she’s supposed to be’. Not knowing Natasha well enough, I’m not exactly sure what she’s talking about, but she gets the point across easily in minor chords with a very distant house beat in the background, surrounded by heavily arpeggiated synths. The album is very mature, spacing out the tracks where her voice is the focal point, with many tracks consisting of clever vocal layers without any real singing in between. I rather enjoy when someone who does get into vocals, uses them in this way, so that the entire album isn’t dominated with literary opinion, allowing other tracks to emotionally speak for themselves, without getting the ego involved. ‘Take Out‘ is another vocal heavy house oriented track that has a very spaced out 80’s synth-wavey atmosphere, again, politely spacious – making it is quite obvious that Natasha truly knows how to make sure her sound voids are never messy. Though it seems strange to admit, the album really has a dark and futuristic R&B setting going on throughout, which turns out to be quite rather brilliant. I can’t really say it sounds like much else I’ve heard, even lately. Overall, the spaciousness, the darker tones, and the very minimal usage of many points in electronic music make this album quite a solid output in my book. My one complaint – it’s just too short! Multiple of these tracks have me going strong at about two and a half minutes, and then they’re done! I’ve never understood why certain artists love to build people up, just to drop them…Mount Kimbie and Odesza are a few others to name randomly – the builds are there, it crescendos, and finishes. Personally I enjoy more time inside these fantastic spaces created by the artists. That said, it’s not my music, and Natasha has created a short, but incredibly solid LP here. Highly recommended!